The Old Man & the Gun is a 2018 Comedy Crime Drama movie directed by . It stars Robert Redford, Casey Affleck, Sissy Spacek, among others. 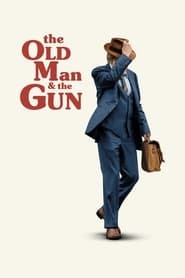 The Old Man & the Gun is currently rated 6.6 stars on the ReelBugs scale. "This story is mostly true." If this is Robert Redford's last film he is going out in style. Wow, this film literally looks like it comes from the 70s, both the look and the style, amazing!! who else got goosebumps when tom waits started talking? Not sure if anyone else noticed, but the font at the end of the trailer is the same as what's on the original Butch Cassidy and the Sundance Kid poster. I'm so excited for this! This film so beautifully 70's like that one would think David Lowery accidentally fell through a time portal and landed in the 2010's. Plot twist: He has never fired the gun. "I sat down with him once, and asked surely there's an easier way to make a living"
"I'm not talking about making a living, I'm talking about living, and don't call me Shirley"
This cast & crew are a goddamn dream team! Well, it's got to be better than a another super hero movie. More movie with old actors and actresses please. the last movie he did with Jane Fonda, surprisingly good and relaxing. 0:13 - It looks like the 1953 20th Century-Fox logo.